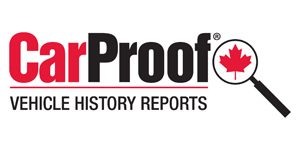 CarProof has named Karim Hemani to the executive team as V-P of consumer vertical where he will focus on aggressively expanding CarProof's value proposition and awareness with consumers. For the past 13 years, Hemani has held influential roles across a broad range of consumer focused verticals including retail, media and financial services. The company says he has held senior roles with Sears, where he led online operations for Sears.ca, Toronto Star Newspapers and, most recently, easyhome Ltd, as V-P of ecommerce and Omnichannel. “We have a great opportunity to take CarProof's consumer business to the next level and I'm thrilled that Karim is joining us to help us to capitalize on it,” said Ed Woiteshek, president and CEO at CarProof. Hemani will have offices in both the London, Ont.-CarProof headquarters and in Toronto.